SVEIFAB welding is able to offer heavy steel fabrication solutions that are both efficiently made and highly effective. We will work for you to determine the perfect type of structural steel for your project. The processes used to design structural steel can change the cost. Steel is an excellent, highly-sustainable material, but it is far more effective in the hands of experienced engineers who understand its properties and potential benefits. SVEIFAB are ISO 9001 & ISO 3834-2 certificated, and welding operatives are trained and EN ISO 9606-1 certificated. Custom metal fabrication requires using the correct type of welding to ensure steel structure integrity. MIG, TIG, Oxy-Acetylene, light-gauge arc welding, and many other welding formats are available to compliment the specific types of metals and thicknesses that customer will require to produce the equipment customer need. Welding and Machining is dedicated to continual process improvement with an in house CWI. 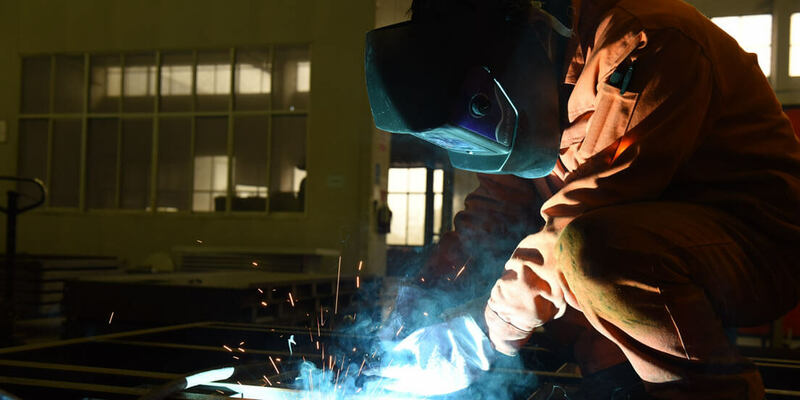 Our welders can meet the highest quality standards to meet the challenges that will supply you with a quality job consistently. We continue to purchase the newest innovative welding equipment to become the best custom fabrication shop we can be.